Columbus Suburban College Fair Columbus Suburban College Fair – The College Fair is a must for juniors and seniors deciding what college to attend. With over 200 colleges participating, the College Fair is a must for juniors and most seniors. Greetings and a warm welcome to our participating colleges, universities, and military representatives! Every year over 200 colleges, universities, and military academies participate in our College Fair! Welcome to the 2018 Columbus Suburban College Fair, our 39th Year! Since 1980 a consortium of Columbus (Ohio) suburban high schools has sponsored a college fair each autumn to assist students and their parents explore college opportunities. Since that time, the fair has experienced tremendous growth in both size and stature. Each year more than 4,000 students and parents from the Columbus area and more than 200 colleges, universities and military representatives from across the United States have participated. Otterbein University has generously hosted the fair since 1985. The fair is presented in the spacious Clements Center. 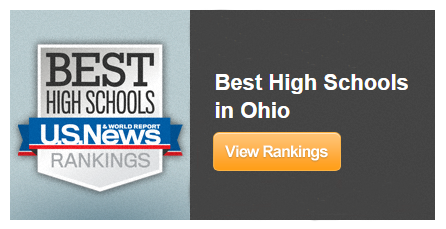 The impressive success of the Columbus Suburban College Fair has brought many accolades. In 1992, in recognition of its outstanding continuous service to students and parents, the fair was honored by the Ohio Association for College Admission Counseling as the first program to be inducted into the Ohio College Fair Hall of Fame. This program has been registered with the OACAC College Day/Night Calendar Committee. Please contact Phillipa Smith at psmith@otterbein.edu for information.